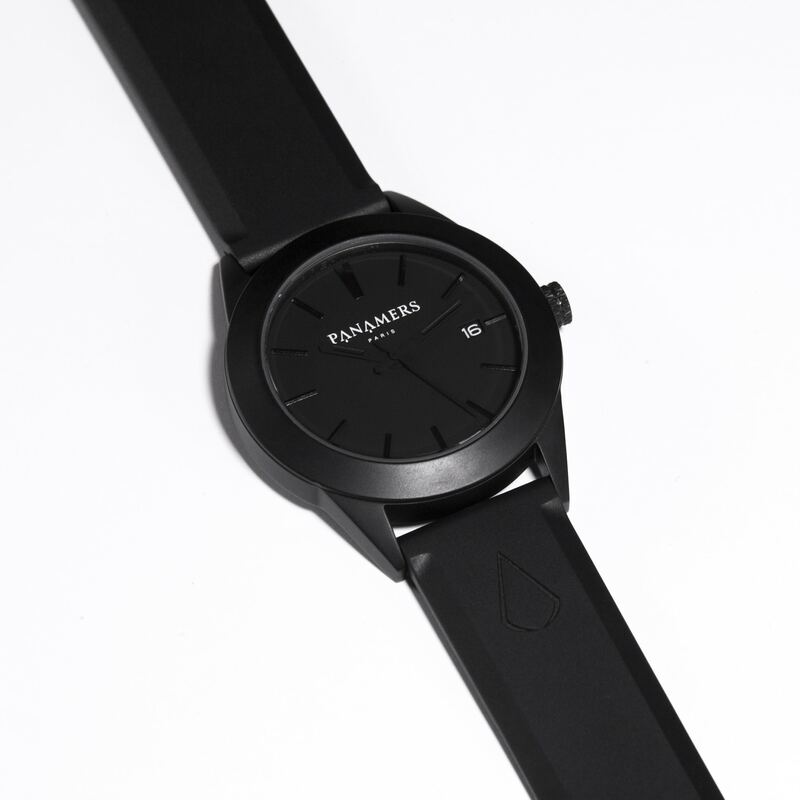 Thought around matte black, minimalist spirit and contemporary design, Blackout Edition watch is composed of a 316L stainless steel case of 10.3 mm and 40 mm diameter with aesthetic and clean lines combining with subtle sophisticated details. Watch has a Quartz Miyota Movement 3 hands & date, an anti reflective sapphire glass, and also a 10 BAR (100m) water resistance to follow you everywhere with style. 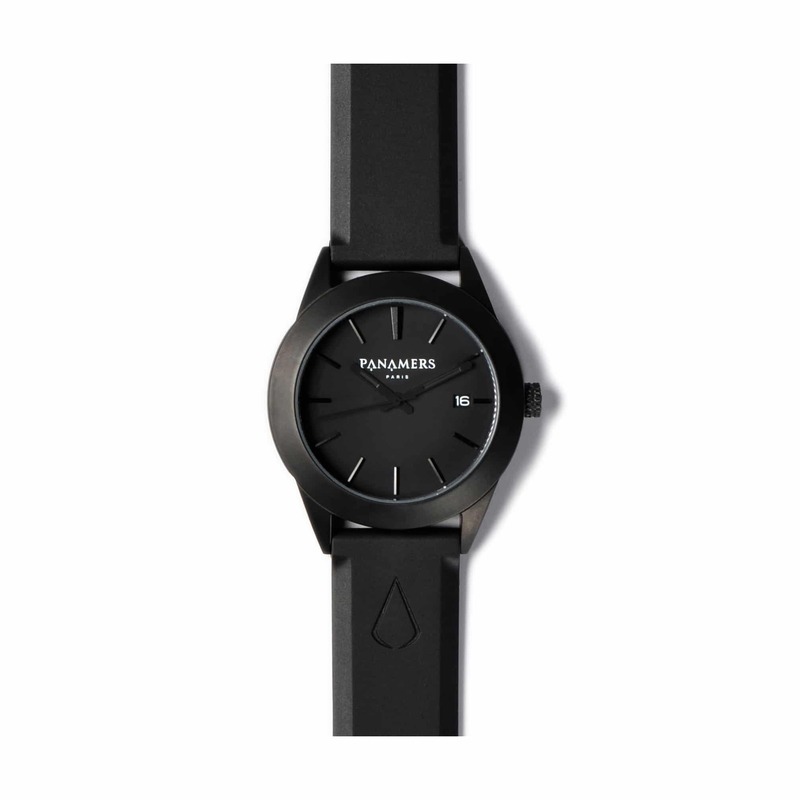 With its matte black natural rubber strap, opt resolutely for a trendy style with a sportive spirit. Matte black Dakota genuine leather strap adds a touch of elegance for a street-chic style. 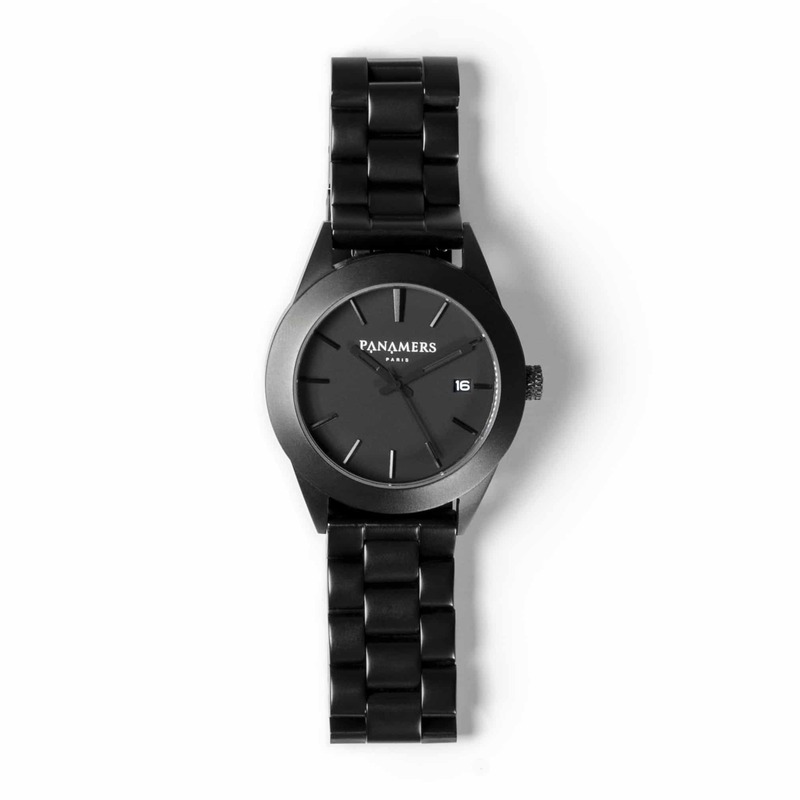 With its matte black stainless steel strap, express openly your urban style.